For Dying Light - The Bozak Horde is the final DLC, which you can purchase on the Season Pass. Here we show you what you can expect from the new DLC. Dying Light is the latest addition to the dead-Iceland from the creators of the Polish studio Techland and who has purchased a Season Pass for the brutal and shocking Zombie extravaganza, gets the last DLC pack called The Horde Bozak. 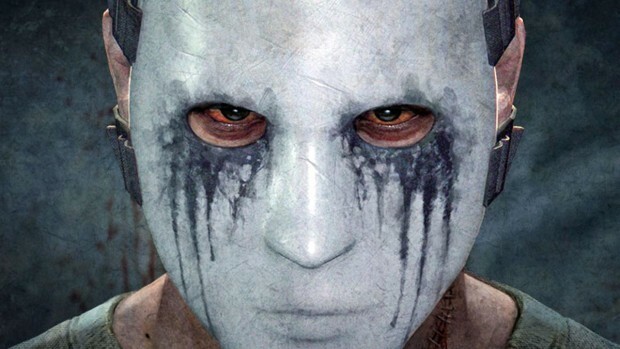 Anyone who has played Dying Light for some time, knows for sure yet who this Bozak is. A crazy psycho-servant with Scream mask and an obsessive hunting instinct in man, and zombies alike. And apparently, the crazy Kasper rise even from the dead, because no matter whether you've already done it in the main game, comes in The Horde Bozak a radio message from him who calls you into the large sports stadium (Harran). And of course you going there, because what can possibly happen when a strange jerk with psychopaths mask one asks in an overrun by zombies Turkish town in a sports stadium? Therefore, it should surprise no one that whosoever coat soon after arrival and it is black around you. Soon your hero wakes up but again, surely he regretted it immediately, because Bozak learn about speakers about the fact that you got strapped to his leg a heavy bomb. But Bozak already has a solution! Complete a series of fiendish trials and challenges and then defused the bomb. Next are all kinds of zombie hordes, the eponymous "Bozak Horde". However, you have no weapons and equipment, and also a devilish time limit. And if it has caught you more than three times, you shall have all the fun to start over! So let yourselves only on Bozak The Horde, if you're a really good Dying Light-player! At the end Bozak has had enough and gives up. He deactivated the bomb and withdraws from Harran. But before he gives you his title and his mask. You are now the new "Bozak" and are allowed now - to the delight of other survivors - also as a crazy psycho running around. Furthermore, there's a brand new weapon, the bow Bozak including arrows and construction plans for new ammunition.